Pamela Mitchell Belyn has extensive experience counseling clients on all aspects of legal operations, including corporate transactions, corporate governance, employment law, litigation, contract administration, real estate and risk management. She also has experience providing unique insights into a variety of business, operational and regulatory compliance matters. She routinely serves as outside general counsel to several middle market businesses in various industries, including food service, consulting, distribution, health care and manufacturing. She also assists clients in the development of contracts, operating policies, procedural improvements and other sophisticated strategies to guard against myriad legal risks in today’s highly competitive business environment. With a primary focus on the middle market, Pamela counsels companies in the negotiation and structuring of mergers and acquisitions. 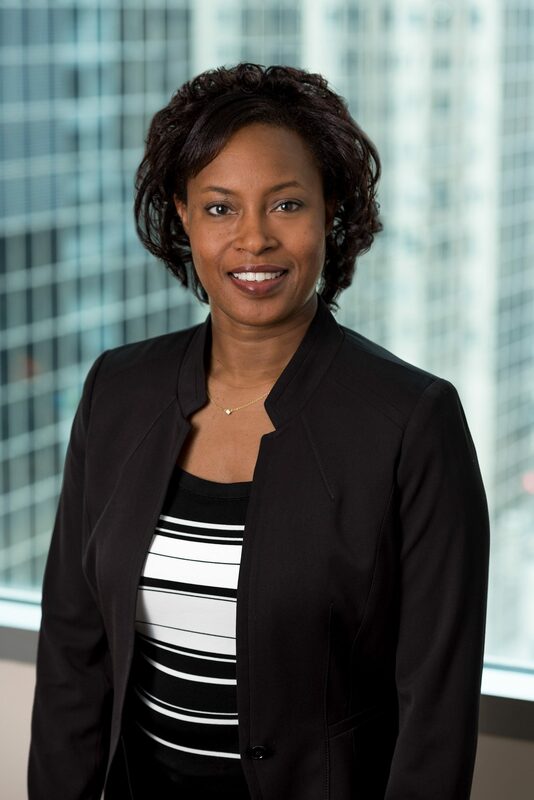 Pamela also represents clients on issues such as commercial finance transactions, shareholder buyouts, business succession planning, financial planning strategies; corporate formation, partnerships and joint ventures; and negotiating purchase and sale contracts. Pamela has a wealth of experience in counseling entrepreneurs and privately held companies as well as women and minority-owned businesses. Pamela has particular experience in assisting clients in obtaining certification as a Women Owned Business Enterprise, a Minority Owned Business Enterprise, a Disadvantaged Business Enterprise, and other local, state and national certifications. Acted as lead outside counsel to the general counsel of a Fortune 100 company to negotiate and draft a major master supply agreement in excess of $100 million. Represented debtor as lead corporate attorney in auction sale (opening bid: $3.25 million, winning bid: $8.25 million) and bankruptcy wind-down. Developed standardized vendor, contractor and employment forms for a manufacturer of educational toys and classroom materials, resulting in a cost savings of thousands of dollars in annual legal fees. Acted as corporate counsel to a family-owned hotel group developing policy manuals, negotiating acquisitions/divestitures, complying with licensure requirements, interpreting franchise requirements and performing all other corporate legal functions. Acted as co-counsel to seller in the fire protection industry during its acquisition by a larger industry group. Lead attorney on merger and reorganization of family owned control group of 15 entities in the real estate and oil and gas industries. Drafted transaction documents and supervised due diligence for client acquisition with respect to $24 million merger of an educational toys and classroom materials company. Drafted transaction documents for client with respect to $3.7 million purchase of rail services company. Supervised due diligence, prepared disclosure schedules, drafted ancillary documents, and supervised other attorneys in ancillary specialty groups for a $40 million asset purchase of aerospace manufacturer. As a result of our thorough investigation, the transaction was abandoned. Drafted $16 million stock purchase and redemption agreement on behalf of the minority owners of a local manufacturing company. Board Member and Rules Committee Member of The Exclusive Professional Women’s Networking Group. Board Member and PR Committee Co-Chair of The Coalition of Women’s Initiatives in Law Firms (2008-2011). Advisory Board Member (2013) of The Coalition of Women’s Initiatives in Law Firms. Starting point for entrepreneurs to research business funding options. Overview of considerations prior to the decision to sell your business enterprise. Summary of the MBE/WBE certification process. Description of the origins of the Coalition of Women’s Initiatives in Law Firms, how it executes its mission of sharing the successes of womens intiatives in law firms and acts as a resource for such initiatives. Advise for start ups and smaller businesses making the first hire.